Joint ANC International and ANCC Delegation Meet the Honourable Stéphane Dion, Canada’s Minister of Foreign Affairs. 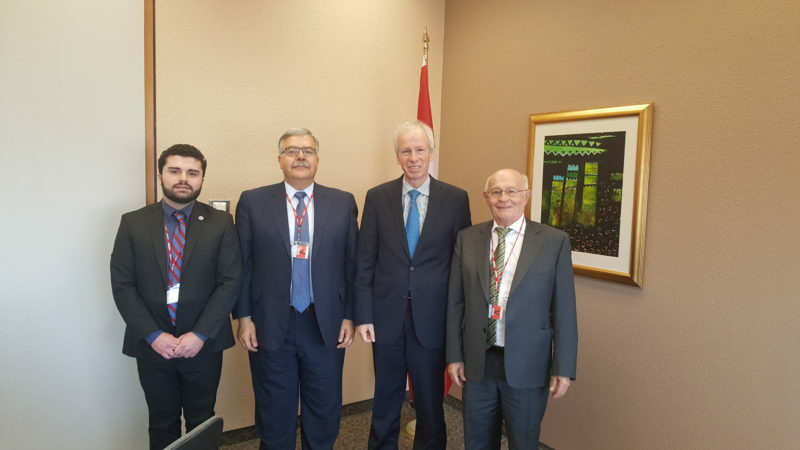 Ottawa – On Monday, November 14, 2016, a joint delegation of the Armenian National Committee International Council (ANC International) and the Armenian National Committee of Canada (ANCC), headed by ANC International Chair, Mr. Hagop Der Khatchadourian, met with the Honourable Stéphane Dion, Canada’s Minister of Foreign Affairs. Dr. Girair Basmadjian, Immediate Past President of the ANCC and Mr. Sevag Belian, Executive Director of the ANCC were a part of the delegation that engaged in a friendly and constructive discussion with the minister and his directors about various topics of interest to Canadian-Armenians and to Canadian diplomacy in general. Discussions were held about the recent escalation of violence in Nagorno Karabakh, Canada-Armenia bilateral relations and the current undemocratic developments in Turkey. In regards to the Nagorno-Karabakh conflict, the importance was emphasized for Canada to play an enhanced role within the framework of the OSCE Minsk Group Initiative in peacefully resolving the conflict and advocating for the immediate implementation of monitoring mechanisms along the line of contact. Despite the warm bilateral relations between Canada and Armenia, the ANC delegation emphasized the vital need for Canada to upgrade its diplomatic representation in Armenia by establishing an embassy in Yerevan and increase the economic and political cooperation between the two countries. The delegation also encouraged the minister to visit Armenia in the near future. The meeting also discussed the recent escalation of sociopolitical tensions in Turkey and its regime’s violent anti-democratic crackdown. 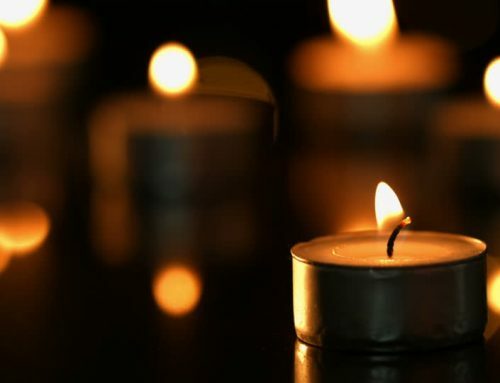 ANC representatives requested that Canada forcefully address this issue by unequivocally condemning the violence and the dictatorial tendencies of the Turkish president and demand that the fundamental rights and safety of all national minorities of today’s Turkey be assured by the state. Minister Dion actively engaged in the discussions and promised to carefully consider all the concerns that were brought to his attention.